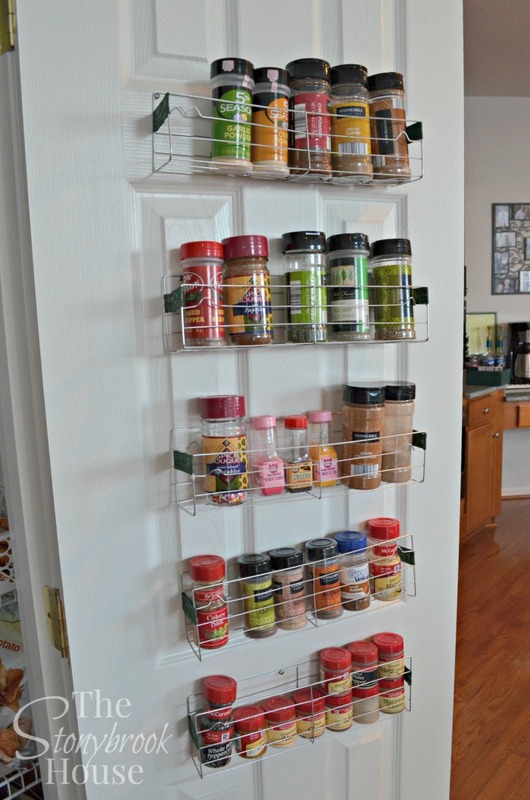 This isn't the first time I've organized my spices.... A couple of years ago, I created these super cheap cooling rack spice holders that went nuts on Pinterest. They worked great! 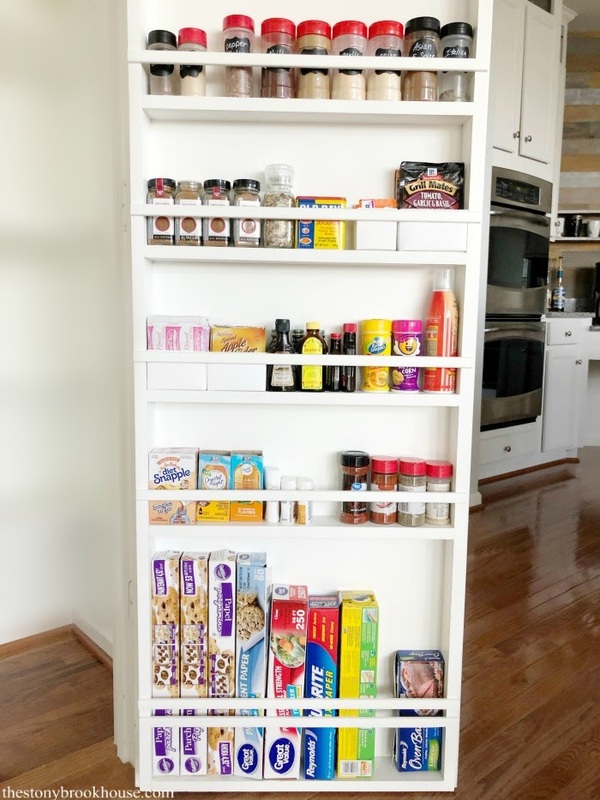 But knowing that I was going to makeover my pantry, it was time expand and improve! I wanted to build something bigger and better! 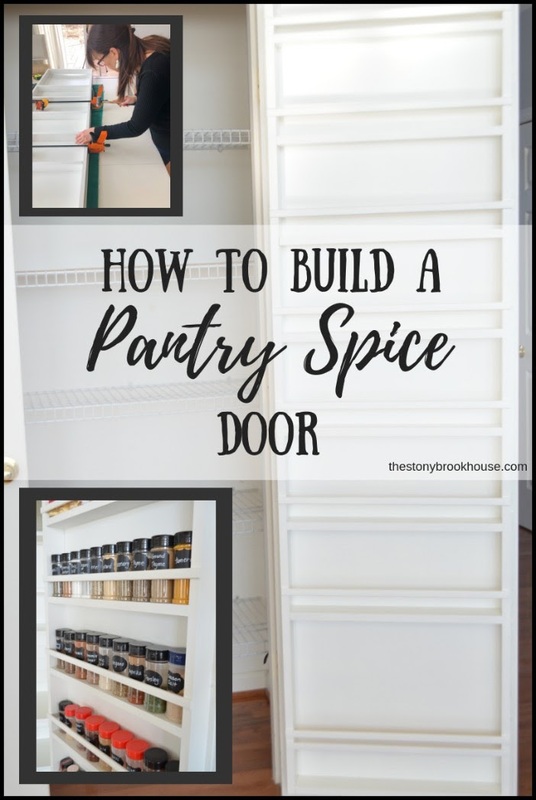 The pantry doors are hollow core doors, yet I knew that the frame of the door was wood. 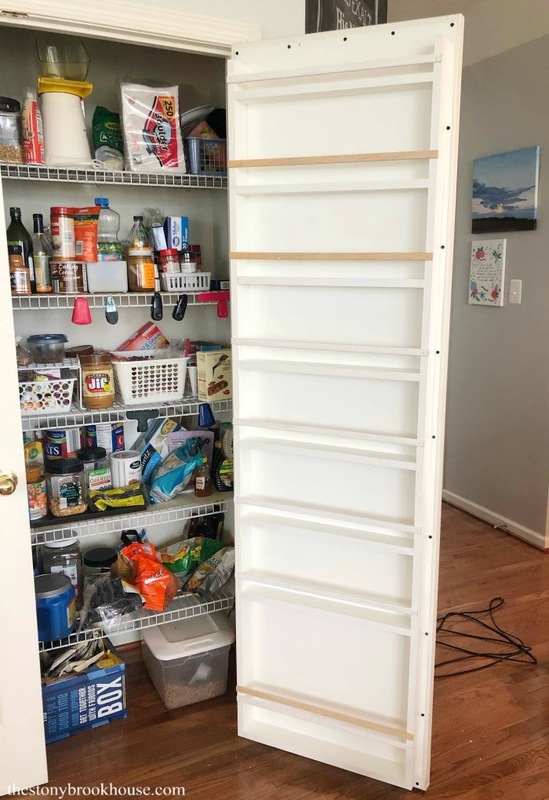 So, this organizer is almost the size of the entire door, screwed into the frame of the pantry door. 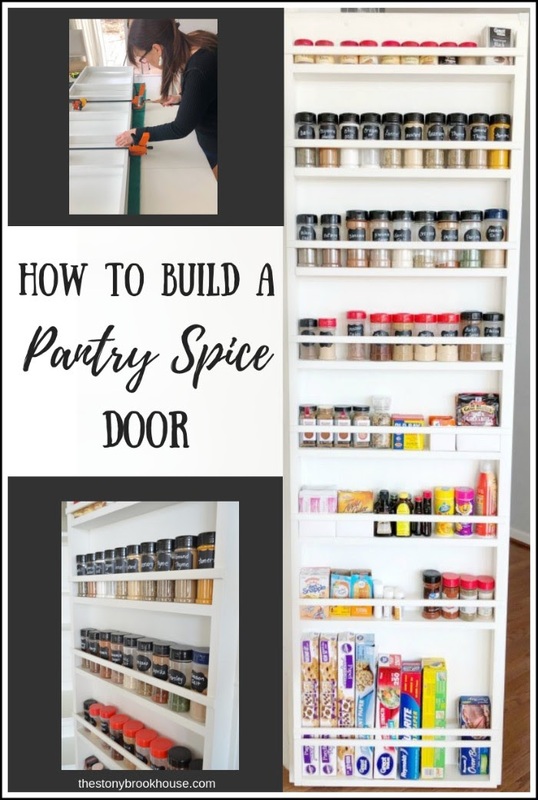 The pantry door measurements are 23 3/4 in. x 80 in., so I'll be working within that frame. As you can see in the photo above, the door has panels in it and I wanted it to have flat back. I used underlayment because it is lightweight and pretty cheap. It's around $15 for a 4x8 sheet at Lowes. 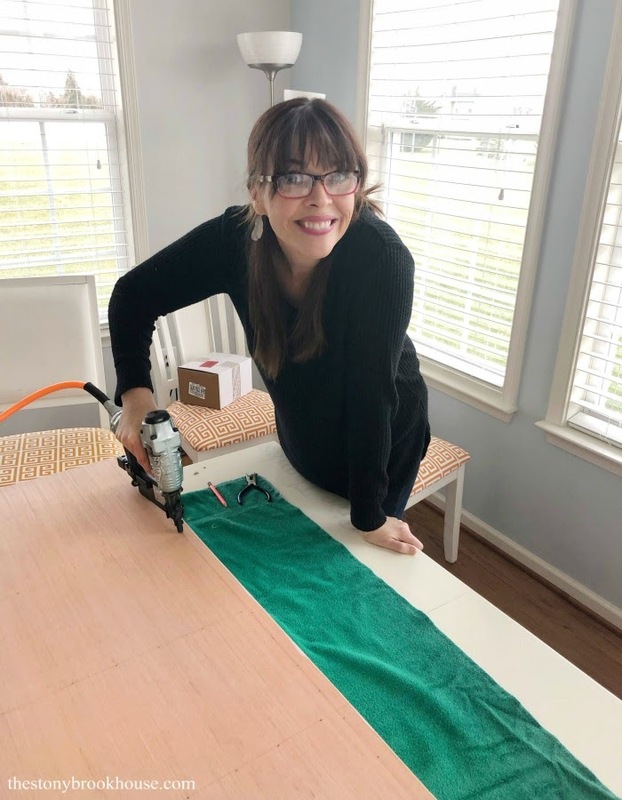 I've used underlayment several times as shiplap around the house. You can see it in the Powder Room Makeover and in our Master Bedroom Makeover. I cut the underlayment to 22 3/4 x 79in. That gave me one inch of space to the edge of the frame of the door. Next, figuring how many shelves I wanted and spacing. 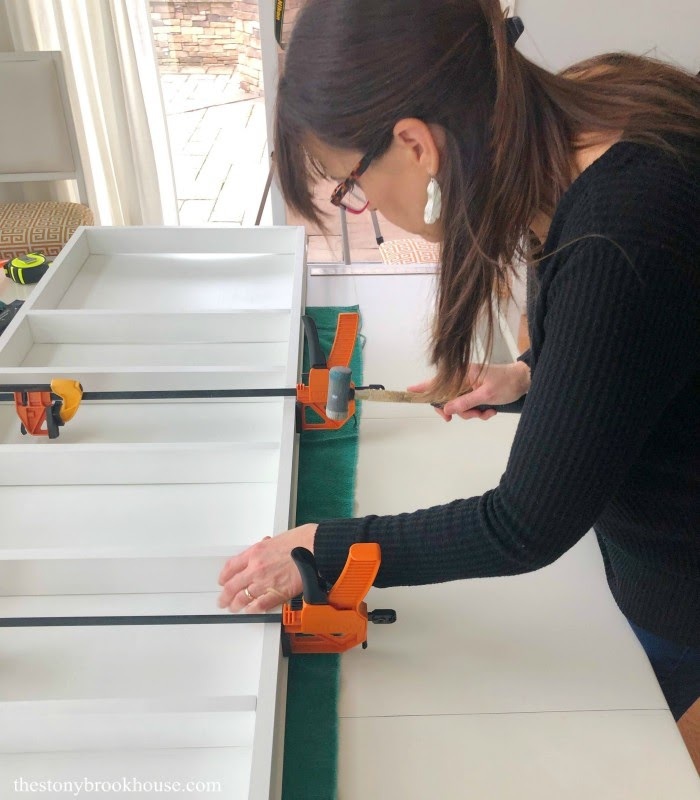 For the frame of the organizer and the shelves, I used 1x3 pine boards. The side boards are cut to 76in. 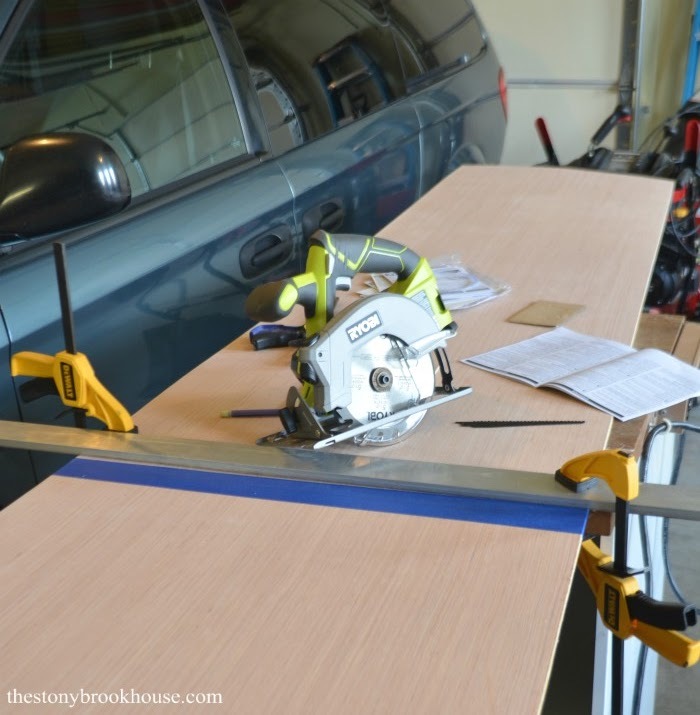 and each shelf board is cut to 20 1/4 in. long. 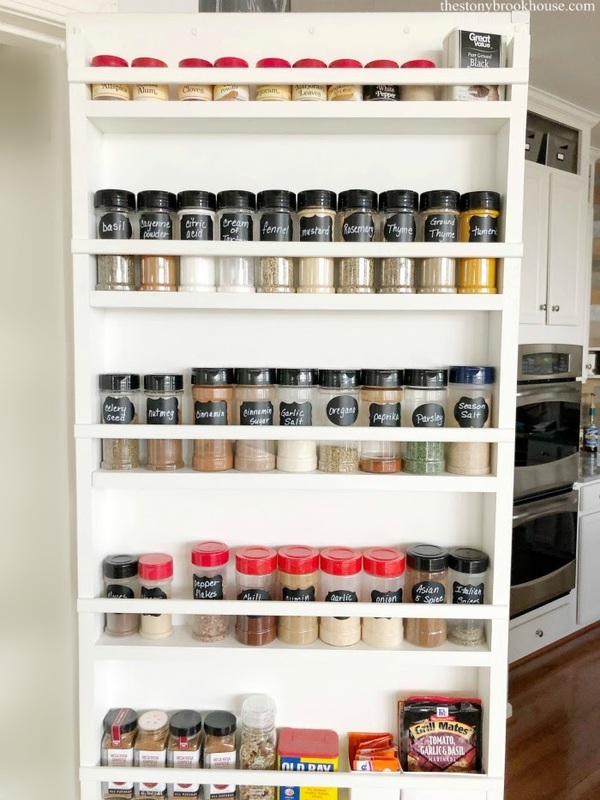 The shelves are approximately 8 in. apart with the bottom shelf at around 17 in. 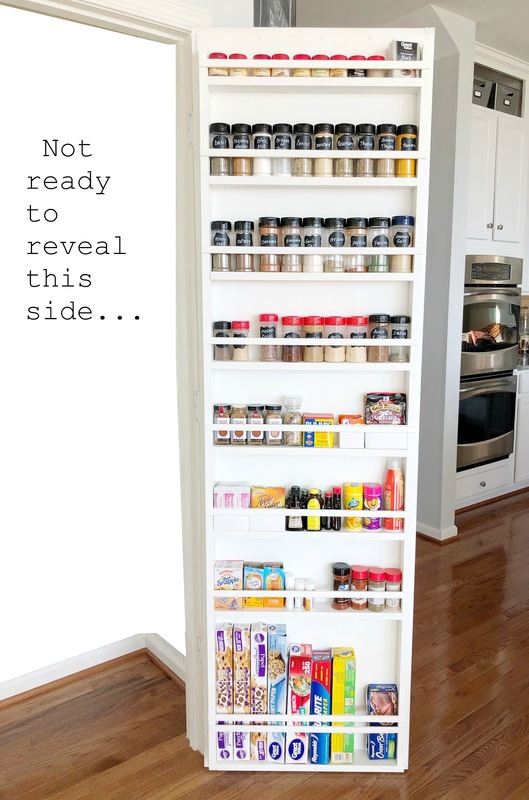 I wanted that space for extra plastic wrap, foil and parchment rolls. Anyhoooo.... Continuing... 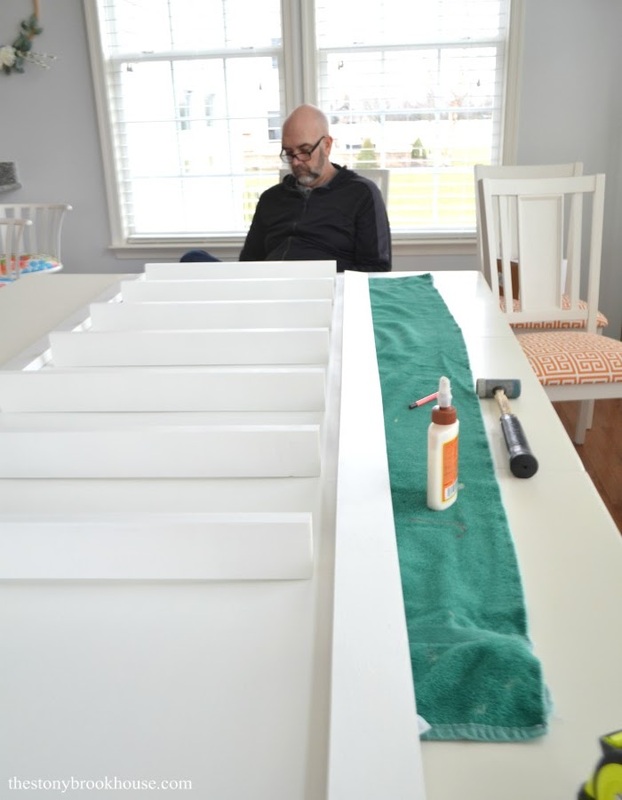 I primed and painted each piece white. 😊 White just makes everything look so clean and bright! 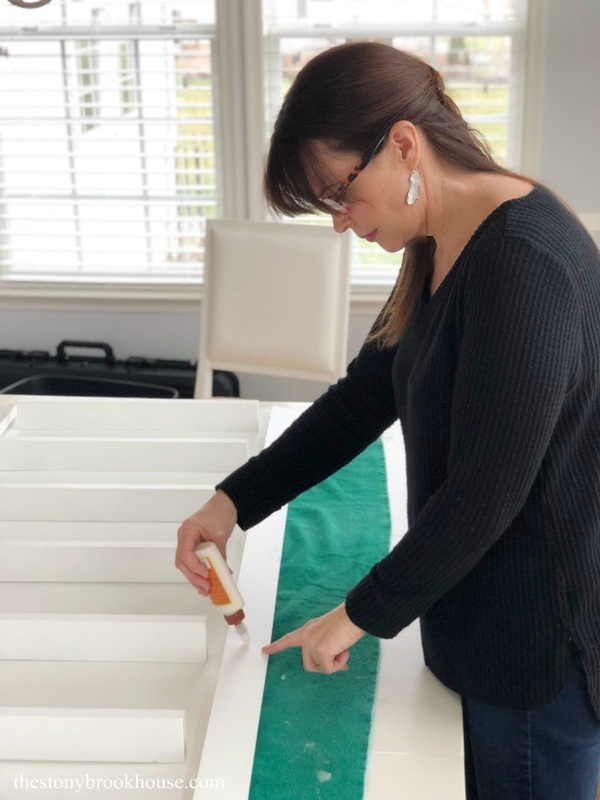 Now that everything is all painted, here comes the super easy part!!! Nailing and gluing it together. 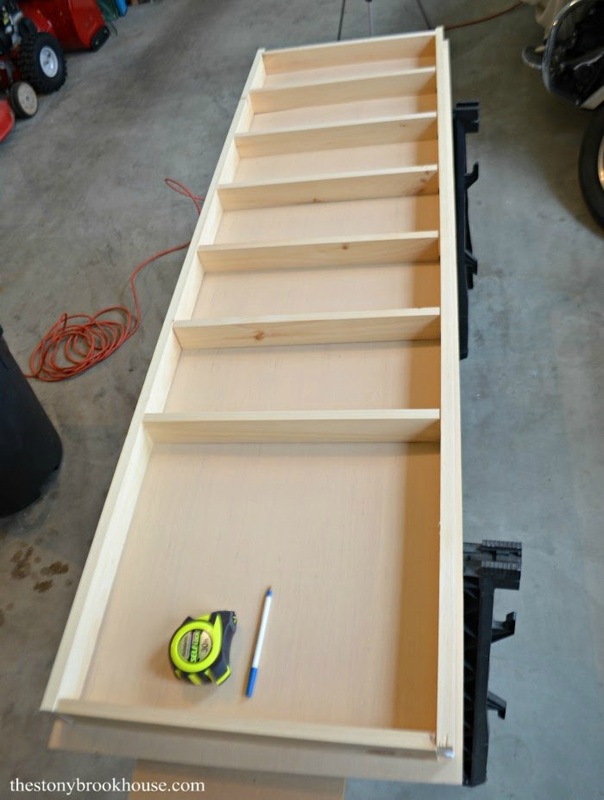 I placed a line of glue at each shelf, then clamped the side pieces together and made sure all the shelves were even. 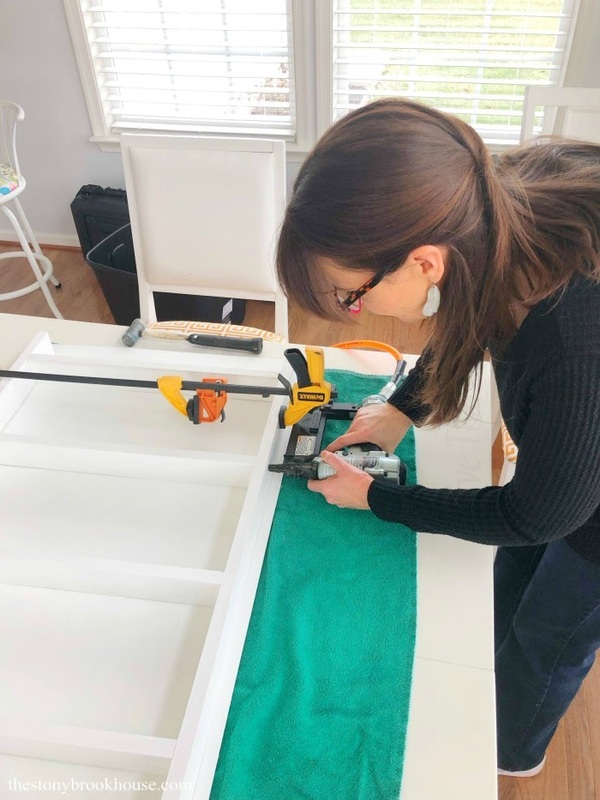 I used Gorilla Wood Glue and these clamps are must haves, they make woodworking so much easier!! Next, I nailed them together using our super handy nail gun. Love that thing!! The shelves still weren't attached to the backing, so we flipped the whole thing over and marked where the shelves were. 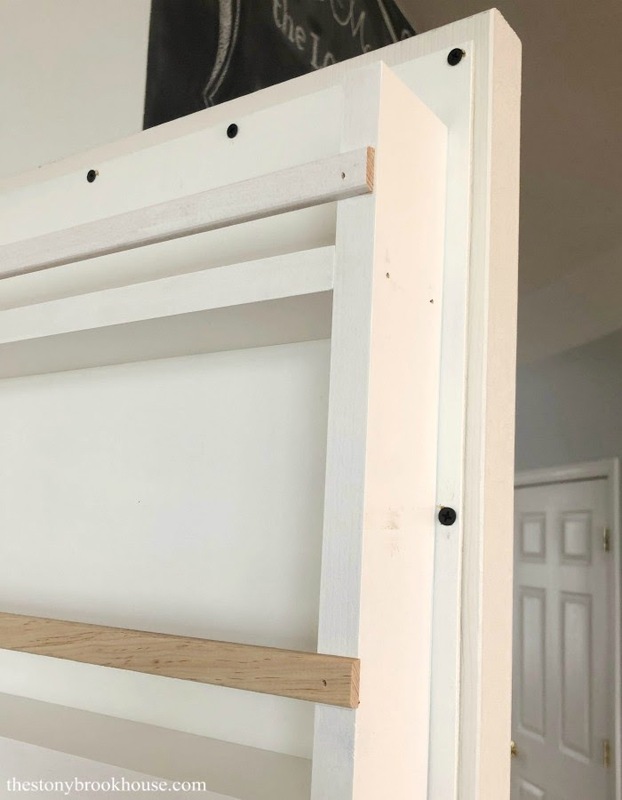 Being able to see where the shelves were made it super easy to nail the back on. Hubby helped me attach the whole thing to the door. We pre-drilled and screwed it on! 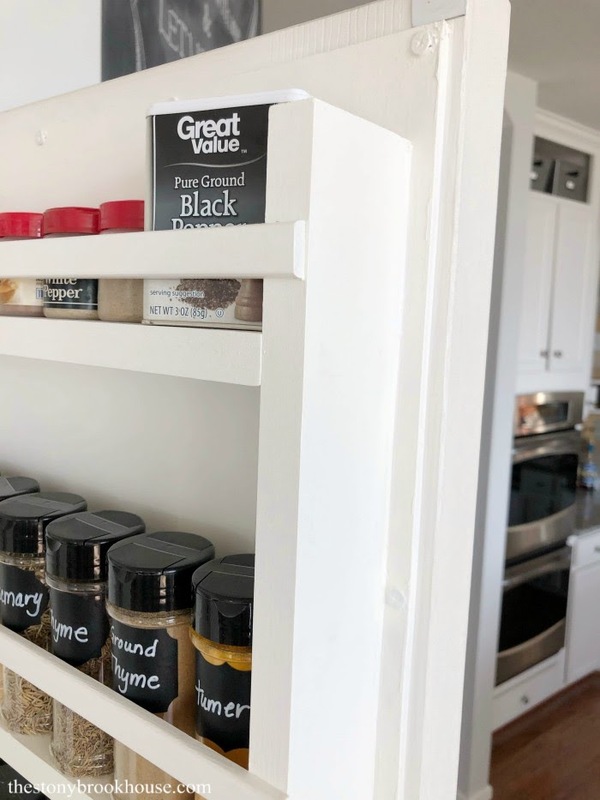 I added shoe molding to keep the spices and things on the shelves. Next, I caulked all the seams around the edge and painted to make it look seamless. Here's a before and an after. Now come the pretty pictures!! ❤️ Oh... my heart is so happy! What is it about this that makes me smile?? 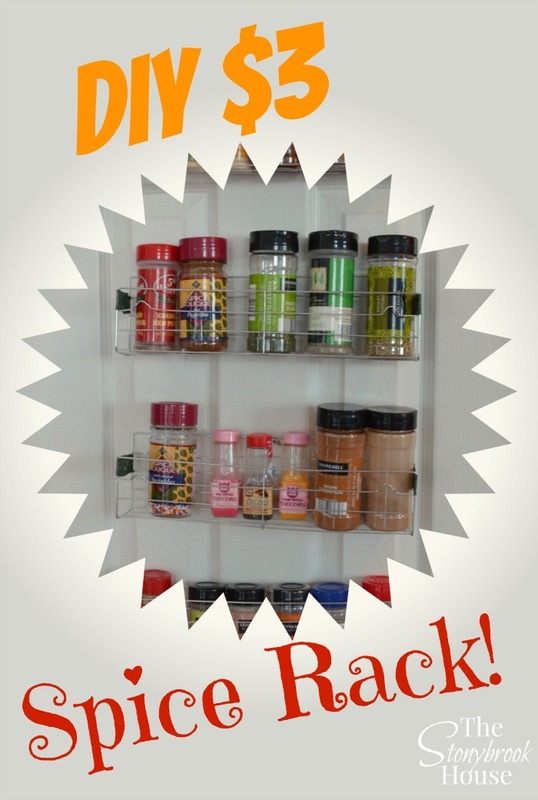 I purchased these spice bottles and labels on Amazon. I just love the way everything looks! 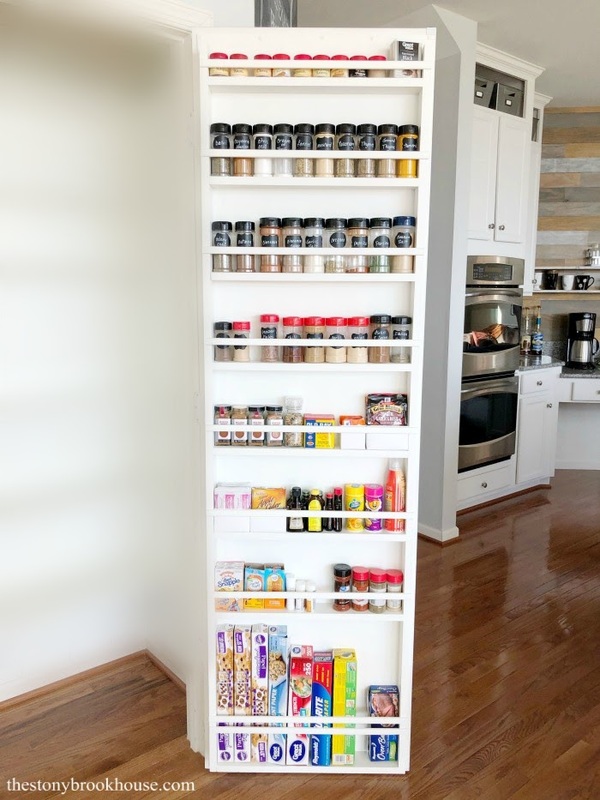 Next up... A Complete Pantry Makeover! Oh! 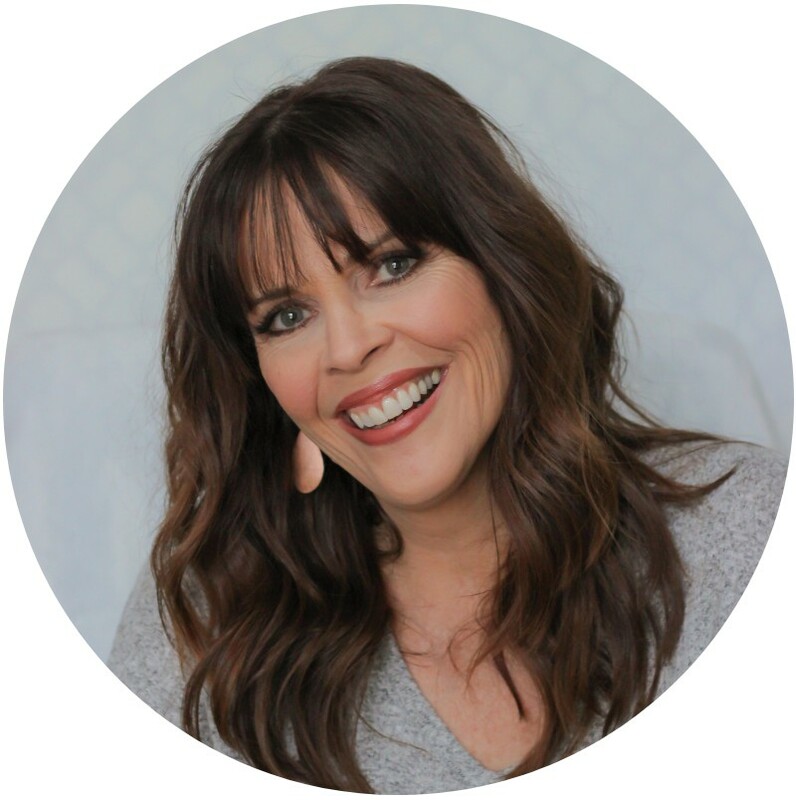 I'm so excited to show you!! 😍 Hopefully next week!! Here's one to pin for later. 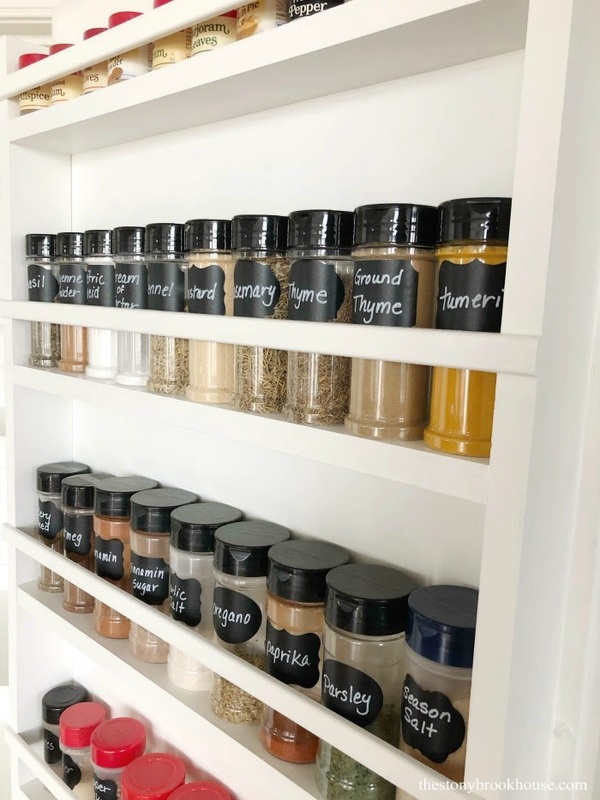 I put these spice bottles in my Amazon cart so I can put my giant Sam's Club containers somewhere else.... Thanks!